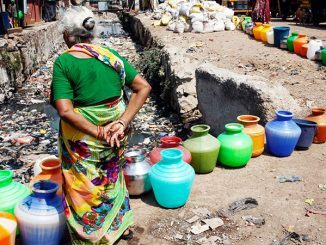 Nemmeli: Quenching Chennai’s thirst, but at what cost? 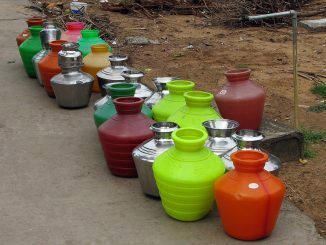 With increasingly erratic monsoons, water-sharing disputes with other states and steady decline in ground water levels, Chennai’s problems over water scarcity seem unrelenting. Not surprisingly, therefore, its two desalination plants in Nemmeli and Minjur hold great significance as far as meeting the city’s water needs is concerned. But are these solutions really optimal and ideal, or is there more beneath the surface? The operation of the Nemmeli desalination plant, located around 40 km from the heart of the city, began in 2013 after the technology was successfully piloted for the first time through the setting up of the Minjur plant in 2010. A new desalination plant at Perur in Nemmeli with a capacity of 400 mld has also been cleared and is expected to cost Rs 3912 crore. Both the Minjur and Nemmeli plants currently have a capacity of 100 mld (million litres per day) and meet close to 30 percent of the city’s total water needs. And yet, the latter seems to come with a whole set of problems for a section of the people. While the desalination plant has been a boon for the parched city, it has robbed a small fishing village of its livelihood. The Sulerikatukuppam village has a population of 1500 persons, including children. Post-tsunami, Rotary Clubs of Madras and Bombay supported the construction of 165 houses and several community structures on the beach. Most residents rely on the sea for their daily bread. When the proposal to set up the sea water desalination plant in their village was mooted, the residents of the area were apprehensive. After repeated reassurance from officials — ranging from the collector of Kanchipuram to officials at the fisheries department — they allowed the setting up of the plant. In return, they were promised jobs at the plant, one for each household. They were also offered a compensation of Rs 2000 per household per month, for loss of livelihoods, during the time of construction and operation of the plant. The villagers allege that while the company followed through on these assurances, they reneged on the promise of jobs and compensation after a year. “We were told that one person from each house would get a job but they did not keep the promise. We were also told that we would be given land and be resettled in a different area once the plant became operational. That was also denied later. The plant has had a huge negative impact on the village as we do not get the same amount of fish anymore. The brine has killed all the fish and the plankton,” says Muthukrishnan S of Sulerikatukuppam. According to design, the Nemmeli plant produces 60 mld of brine over the course of the desalination process. According to the mandate of the Coastal Regulation Zone rules, this brine water and other toxins produced as part of the process are to be released at least 500 metres into the sea. 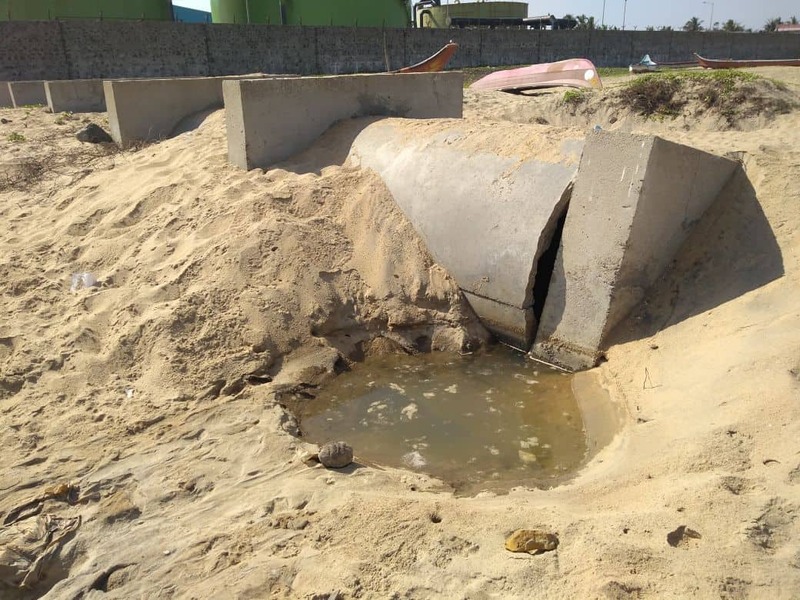 A quick inspection of the plant shows that the cement pipes laid to carry the brine water for discharge into the sea are now broken, resulting in a large quantum of untreated water being released by the beach and along the coastline. Villagers say that since the setting up of the plant, the sea has advanced significantly. The dilapidated remains of two buildings, one a community centre and another an ice facility that was built by the Rotary club, stand destroyed allegedly due to changes in the nature of the coastline caused by the desalination plant. “The buildings here were built by the Rotary club after the tsunami struck the village. When the plant was set up, huge rocks for the coffer dam were dumped into the sea to lay the pipes. They were supposed to be removed subsequently, but the company did not do that. This resulted in the sea advancing and the buildings getting destroyed. The sea has advanced by 500 metres since the plant became functional. 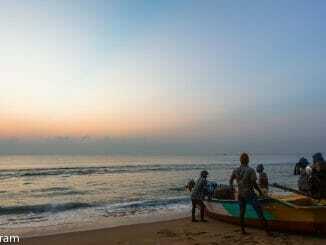 We live in constant fear that it will advance further,” says K Shankar, a fisherman. “The erosion in Nemmeli was caused by the construction of a ramp to transfer equipment for the plant. The ramp was perpendicular to the coast and was in place for two years. 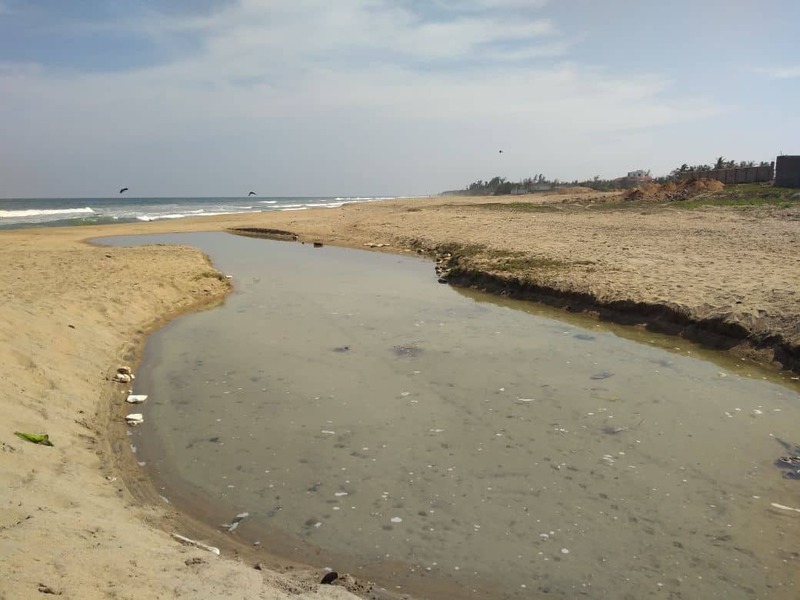 This affected the littoral drift of sand and triggered the erosion as Nemmeli was a stable coast prior to this,” says Pooja Kumar, coordinator of the Coastal Resource Centre. It’s not just the fisherfolk of Sulerikattukuppam who were affected by the changes in the coastline. P. Balaji, a homestay owner along the East Coast Road close to the village has grievances too. “I bought land here in the late 2000s but had not constructed any building. When the desalination plant was set up, the land I had purchased went underwater due to the effects of its construction and operation. In 2013 I was not able to claim a portion of my land as the sea water had advanced there. Only around 2015 did the water recede a little and I was able to construct a bungalow here that I sometimes rent out to tourists. It has been a harrowing experience,” says Balaji. 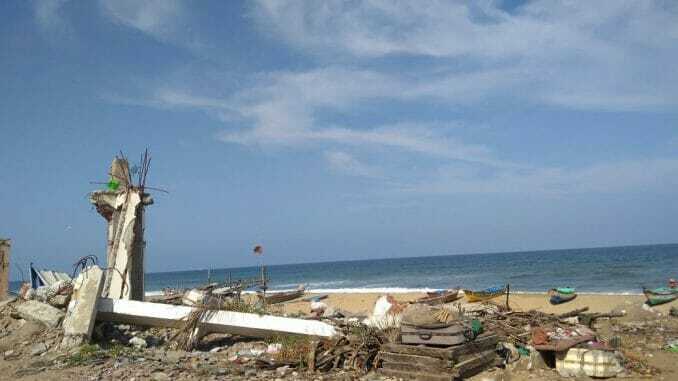 The Fisheries Department which looks into the welfare of the fisherfolk has all but relinquished any responsibility for the residents of Sulerikattukuppam. “We heard about the problems of the fishermen. But if you ask me, some of them have been doing this (complaining) as they were promised jobs. They were not happy with what they were offered and have now started protesting against the plant”, says Thirunavukkarasu, Additional Director of Fisheries, Neelankarai. While he adds that he is sure the residents have legitimate grievances, he also says that they did not receive any promise in writing at the time of setting up of the plant. He says that the fisheries department has not found anything out of the ordinary in the catchment area and that there is still fish available. As for the plant itself, the official said that it has been designed with the best possible specifications in terms of technology, but that whatever grievance the residents had might be because of how it is being operated. “After the construction of the plant, the main issue has been the disposal of brine, which is supposed to be discharged where dilution is easier, but what is being done here is that the brine is let off on the beach; this makes the near-shore water becomes extremely saline, affecting fish breeding and affecting the catch”, says Pooja. Brine pools on the shore as a result of broken pipes. To add to their woes, villagers cannot rule out backlash against them. They had first raised their voice against the plant once in 2013 right after its inauguration. But they were immediately stifled by a case lodged against them by the company. Close to 40 fishermen were imprisoned for over a month at the Puzhal prison. They had to fight a protracted legal battle to win the case and exonerate their men. If the authorities go ahead with the plan to set up the new plant in Nemmeli, Sulerikatukuppam will be flanked by two desalination plants. Asked if the villagers plan to oppose the new facility if and when it is built, Muthukrishnan’s response is mellow. “We do not have any fight left in us. If they want to build a new plant we will not oppose it, as we have resigned ourselves to fate. We do not want to go to prison again,” says Shankar too. Despite the overriding feeling of resignation, the villagers of Sulerikatukuppam have tried to alert the adjoining Nemmeli kuppam about the dangers of agreeing to the construction of the new facility. They say that the fisherfolk there have also, like them, been enticed with promises of monthly compensation and offer of jobs to the educated youth of the area. “Whenever our issues are brought up we have had the people and authorities say that this plant has been providing drinking water to thousands of people and that we should think of their welfare. But I want to ask, who is looking out for us? We are also part of this land. I am not against others benefitting from the water released by the plants, but people must also think, at what cost?” asks Muthukrishnan. Efforts to reach VA Tech Wabag, the company operating the plant, did not yield any response from their end. Think Chennai’s water worries are gone after Dec rains? Think again! How will Chennai cope if the water crisis continues? Chennai has just about survived the scantiest north-east monsoon in 140 years, and the worst-ever water situation in the last 14 years. Akshatha M finds out about the CMWSSB’s contingency plans for the coming season. Tamil Nadu’s draft Coastal Draft Management Plan does not specify a hazard line, causing confusion and concern among local communities about their future. They say the plan violates the Centre’s CRZ Notification 2011, and must be amended. As Dr Abdul Kalam had said long ago that Chennai’s water scarcity can be solved in the longrun only through water desalination. Plants for the purpose working or under construction now are no doubt in the right direction but Governments must enforce proper relief and rehabilitation measures for the people affected adversely by the plants and duly comepnsate them for the continuing loss of livelihood or damage to health caused by such plants while taking due steps to enforce proper, healthy and safe disposal of the waste water and brine and chemicals discharged by the plants as byproducts during their operation while ensuring proper sharing of the additional costs of desalination vis-a-vis filtered water from traditional sources as between residential and industrial/commercial water users in the city. While the benefit of cheaper potable water from traditional sources should go entirely to residential users, only the excess of such water over residential use along with desalinated water should go to industrial/commercial users and both charged accordingly. If the quality and safety of desalinated water is better than those of water from traditional sources, cross-use and cross-subsidisation of water from both sources should be done to the benefit of residential users in the interest of public health duly taking into effect the public health costs saved thereby vis-a-vis allowing cleaner water being misused for industrial/commercial purposes. Development with justice and fairness with sustainable eco balance is welcome but not otherwise.